When it comes to tackling your daily responsibilities, it’s essential to own a vehicle that offers the perfect balance of versatility, capability, and technology. Fortunately, the 2019 Jeep Compass is here to make its mark on the roads of Wilsonville, Woodburn, and Sherwood with its sporty appearance and unstoppable powertrain. Ready to take a closer look? 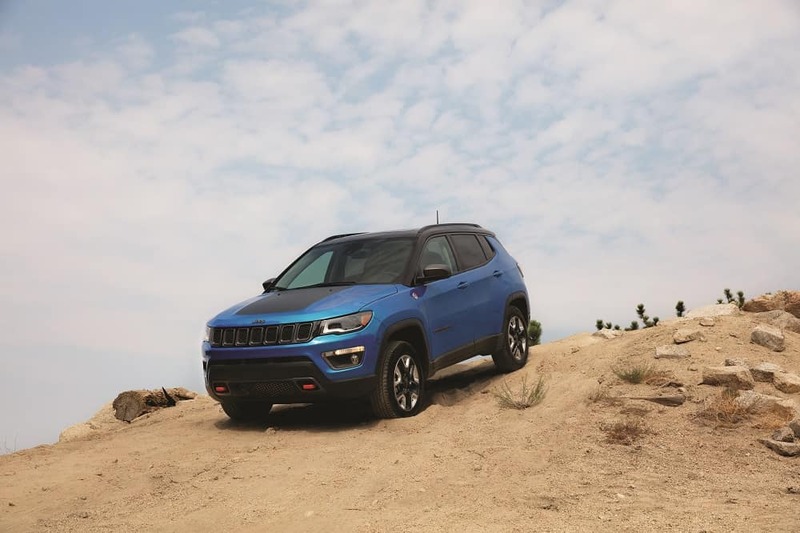 All you have to do is read through this 2019 Jeep Compass review created by Findlay Wilsonville Jeep Ram. With one glance at this athletic automobile, you’ll be ready to take on another adventure off the beaten path. As a frequent terrain tackler, you know that the weather can change at a moment’s notice. That’s why the 2019 Jeep Compass comes prepared to manage anything Mother Nature throws your way with its available Selec-Terrain® Traction Management System. Simply choose the setting that best matches your current driving environment, like Auto, Snow, Sand, Mud, and Rock, and you’ll be well on your way to a stable and confident ride. On top of that, the Jeep Active Drive Low 4×4 System automatically switches between all-wheel drive (AWD) and two-wheel drive modes, depending on the landscape you’re traversing. When it’s not needed, this technology deactivates AWD for optimal efficiency. To keep you at the head of the pack on the highway, you want to be armed with a hefty dose of power. Well, tucked beneath the hood of the 2019 Jeep Compass awaits a standard 2.4L engine, which serves up 180 horsepower and 175 lb-ft of torque. Plus, the optional 9-speed automatic transmission harnesses all that strength and equips you with seamless gear shifts, no matter where you’re driving. That way, you won’t experience a moment of lag while you’re focusing on dominating rough terrain or cruising down your town’s main street. Looking to tow some cargo to your family’s next vacation destination? The Jeep Compass delivers on your hauling needs with 2,000 pounds of maximum towing capacity, when properly equipped. With those numbers, you can easily hitch up your ATV or small trailer and hit the road with all the essentials for a memorable getaway. These days, staying in touch with your favorite technologies and applications is a must, even during your commutes. To access your devices, all you have to do is connect them to the infotainment system inside your 2019 Jeep Compass. From there, you’ll effortlessly access your own library of hand-selected music, application, and podcasts. As a result, nothing will prevent you from listening to your newest playlists while you’re soaring down the road. 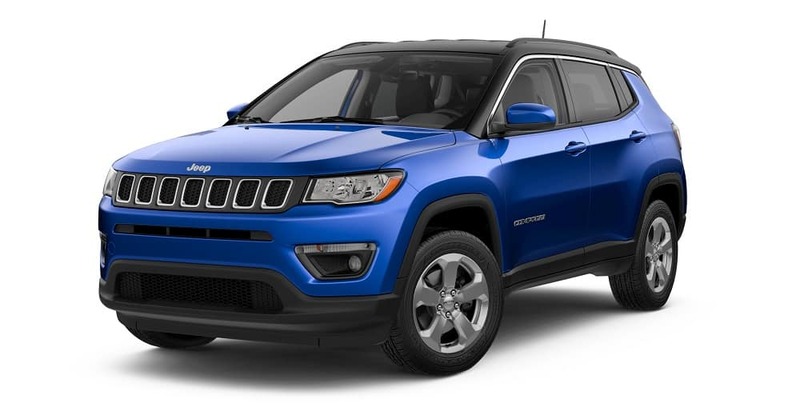 Learn More About the 2019 Jeep Compass Today! 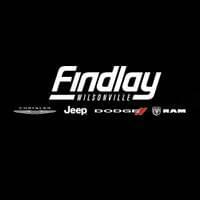 At Findlay Wilsonville Jeep Ram, we believe that every driver near Wilsonville, Woodburn, and Sherwood should be outfitted with a legendary vehicle that’s ready to advance along your route without hesitation. By snagging a seat behind the wheel of the 2019 Jeep Compass, you’ll spend every minute of your commutes and adventures surrounded by all your on-the-road necessities. Of course, you’re probably eager to learn more about everything this iconic SUV has to offer once it arrives at our dealership. All you have to do is stop by for a visit or contact us today to stay updated on when this automobile will make its appearance in our showroom!